Please feel free to come and join in on the new Eco Builder Meetup group we have set up, it’s free and we hope to bring you some great speakers and an event soon venue to be announced, one of our aspirations is to get people to share their knowledge and experiences with each other, whether you are already living the green dream or just have aspirations to live it, we hope you will gain from the group. We are also keen to hear from you if you are interested in speaking at one of the group meetings or are interested in writing any articles for the website. There are many more updates to come so watch this space, we will soon be launching a directory of suppliers of green products, and following that we will be launching a forum on this site as well. You can join us here. The National self build and renovation center in Swindon will be holding free Eco workshops on Saturday 16th August covering Sustainable Heat & Energy and on Saturday 29th November covering Retrofit Eco Solutions. David Hilton the NSBRC resident Eco expert will be accompanied by other industry experts to give help and advise on Eco solutions and ideas. There will be a program of seminars and discussions from leading Eco experts throughout the day. Workshops will start at 10.00 and finish at 17:30 each day. The Sustainable Heat & Energy Eco Workshop. I would say one of the most important subjects to reduce waste and emissions., generating heat and power in a green way is a must if we are going to make any positive impact at all whist we are on this planet. It will also cover the role that the self builder plays in the construction process, addressing the relative merits and drawbacks of each route. You will find out how to package all these things together to make sure that you end up with the home that delivers according to your original design brief, budget and future living expectations. The Retrofit Eco Solutions Eco Workshop. Will cover what practical measures can be taken with existing buildings to make them more sustainable and energy efficient. What difference can you make by altering your existing home, This is a huge challenge for us all, to make sure that we can improve older homes to get them up to the standards of a newly build home or at least improve where is practically possible. Sustainable Heat & Energy 16th August 2014 Tickets Here! Retrofit 29th Nov 2014 Tickets Here! So why not make your green dream a reality and start to get together some useful information here at one of these Eco Workshops. 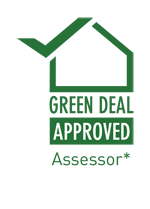 A Green Deal Assessment is made of two parts an Occupancy Assessment, which assesses how you use energy in your home and an Energy Performance Certificate (EPC), your home’s energy efficiency on an A to G rating scale. An Energy Performance Certificate already required when properties are sold or rented out. EPC = is a basic assessment of the property and its construction, so it does not take account of your actual usage or energy bills. Occupancy Assessment = About you and will assess your own energy use. How much is a Green Deal Assessment? The Green Deal Home Improvement Fund that started in early June 2014, you can now be refunded up to £100 for your Green Deal Assessment. This is as long as you install one of the recommended measures on your Green Deal Assessment report. 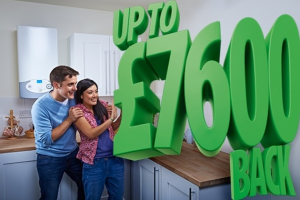 It is the EPC that is used to decide the amount of Green Deal money you can borrow. This means there is a risk particularly for low energy users that the EPC could overstate how much energy you could save, meaning that your repayments might be higher than your savings. An assessor needs to get a written acknowledgement from you showing that you are aware of this risk. So why not start the process and see how much you can help the planet and save money doing so. It is important that you use companies that have signed up for the scheme, so check for the approval badge and the registration number. There is a Green Deal advice line run by the Energy Saving Advice Service the number is 0300 123 1234. This also provides advice on other energy efficiency options. In Scotland call the Energy Saving Scotland advice centers on 0800 512 012. I can’t help but think that is time to change the planning laws for Eco Homes. Now this does not mean that anyone should be able to build anything anywhere, but surely if a home is recyclable so most if not all of the materials are biodegradable and sourced locally then then should be an exception in case? 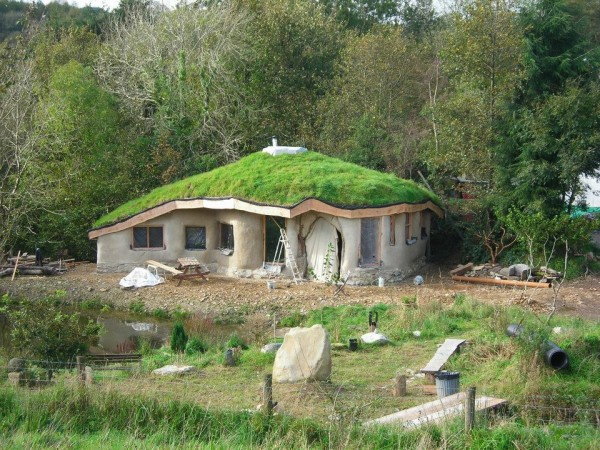 An example of this would be the home built in Pembrokeshire Wales by Sculptor Charlie Hague and his wife Megan Williams, Made from straw bales rendered in lime with a turfed roof, situated on land owned by Mr Hague’s parents, it took less than 12 months to build and cost around £15,000. Planning permission was not initially sought although retrospective permission was applied for and turned down. Mum of one, Megan 26, acknowledged their property was built without prior consent and that ‘wasn’t the best start’. There is even a petition with 2,661 supporters signed up to date here, I would encourage you to sign up for and support them in their quest to keep their eco home. 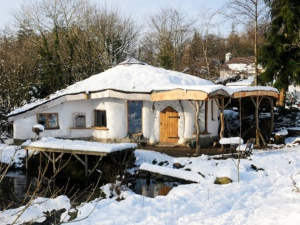 No one can deny this eco home sits blending into it’s environment as you can see in both in winter and summer alike, Whilst I agree from the perspective that planning should be applied for in all cases our laws defiantly should be looked at to make the process easier for those who do want to make the correct environmental choice. I do hope that they eventually get permission granted for this beautiful little hobbit of an eco home. Led Lights on a bathroom mirror are much more environmentally friendly than halogen lights but this one also has rechargeable batteries which I have never seen before. 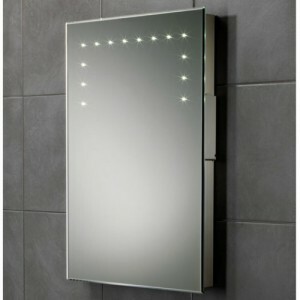 The mirror has very low energy but high intensity LED lights which use less power than usual bathroom mirror lighting, the batteries will last 30 – 35 hours on one charge and the batteries are the advanced Ni-Mh type so they should last 1000 charges so no throw away batteries there. It is nice to see practical ideas that are also eco friendly. Volunteer to make a difference – volunteer some of your time to make a difference to your local community.